EAGLES are large birds of prey and although there are 60 species among them, only two are found in the United States and Canada. In my area of Canada (west coast bordering on the Pacific Ocean and Washington State) we see bald eagles all over the place. They aren't really bald; they just appear to be bald from a distance because of their white-feathered heads. They build their nests, called eyries or aeries, in tall trees or on high cliffs, both of which can be found locally. You can always tell an eagle's nest because of its size as the chicks are huge! There has even been one recorded instance of a nest that was 10 feet wide and 20 feet deep. Because of their size and power, eagles are at the top of the food chain, feeding on fish, wild rabbits, mice, and other small forest animals. 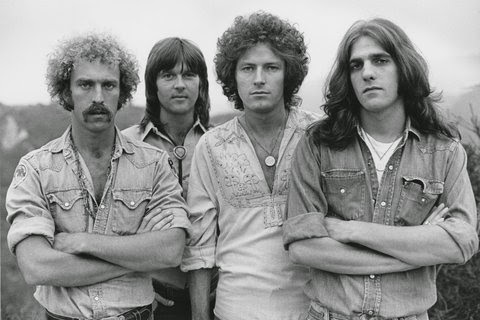 EAGLES, the band was formed in 1971 in Los Angeles with Don Henley, Glen Frey, Bernie Leadon, and Randy Meisner. Who hasn't heard of them? One of the most successful bands of all time, they've had 5 number one singles and 6 number one albums! A few of their most memorable pieces are "Desperado," "Hotel California," "One of These Nights," "Lyin' Eyes," and "Take It to the Limit." Here's a shot of the band in the '70s. And now you can see my little slideshow of both kinds of "Eagles" with my very own photos of the bird variety and Mr. Google's photos of the band variety. Be sure to turn up your sound to hear a rendition of "Desperado" and ENJOY! I love the second Eagles - as in Eagles the band - while my son is quite in love with that first variety. He'll love this post, specially the bit about their huge nests. Actually a 10 feet nest has my respect too. A human could disappear in that one. Thanks Leslie. I don't know this band at all, but I love the eagle picture ! The Eagles Greatest Hits 1971-1975 is one the best selling albums of all time. 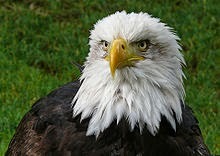 Who doesn't admire the fantastic eagle, its so regal. My husband and I love the Eagles band, we have seen them in person a few times. What a fine post! The Similkameen Valley is known as Eagle Valley among the ranchers and especially the First Nations - there is a great affinity with this majestic bird and many years ago I watched an eagle flying in circles as it accompanied the funeral cortage of an Elder up the valley - it was a heart stirring sight. Great intro to the letter E, Leslie! Ha! I'll have to say that I'm a bigger fan of the majestic eagles. It's amazing to me how many I see in the winter if I travel to B.C. just hanging out in the Frazier Valley! Have a great week, Leslie ! Hawks and turkey vultures are the biggest birds in my neck of the woods. Eagles are so grand especially when they soar. A teacher friend linked to a site that showed a pair of eagles' nest; it ran from the time of their eggs through the babie leaving the nest. Really quite fascinating. I still enjoy hearing the Eagles sing-. Excellent entry, I enjoyed it enormously. My "E" stands for ESNA in EGYPT. 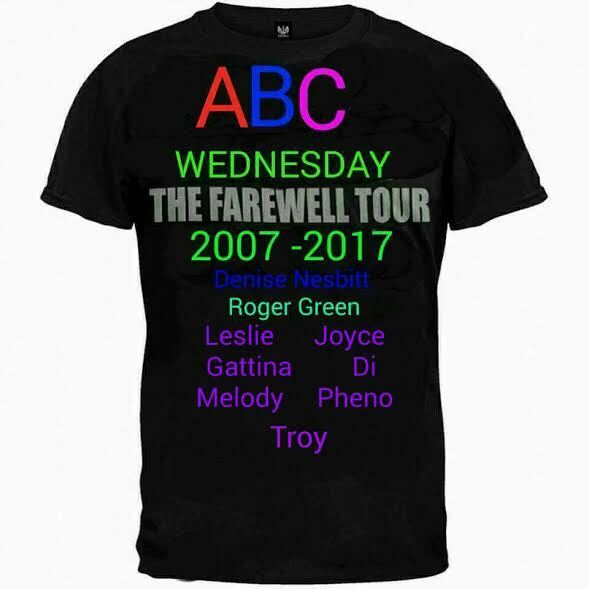 Hello Leslie, So good to have you back on ABCW. Wonderful post about the eagles, you are so blessed to have them ,literally, on your doorstep. soaring way up over Ben Nevis, a beauteous sight indeed. Hotel California is my favourite Eagles record. Great Eagles/Eagles post! Perfect fare for "E"! I love Lyin' Eyes and Desperado...they are such classics! The Eagles are an awesome band. One of these nights is my favourite Eagles number.